I told myself I would stay away from the LeBron subject. I was so close. Oh well. In case you’ve been hiding out in a nuclear fallout shelter in anticipation of “The Decision,” LeBron James, the “King of Akron,” has elected to join fellow NBA All-Stars Dwayne Wade and Chris Bosh on the Miami Heat. To do so he left $30 million on the table in Cleveland, and left a franchise, city and state stunned and broken-hearted — in the case of the Cleveland Cavaliers franchise (forgive me): royally screwed. James announced his “decision” in a one-hour TV special on ESPN Thursday evening, declaring that he was “taking (his) talents to South Beach.” It was the culmination of unprecedented media coverage of the free agent process, which saw teams fly into Cleveland to make presentations for James, pitching their franchises and cities. All the while, hundreds of Cavaliers loyalists waited outs in the streets with signs pleading with their superstar to remain in Northeast Ohio. After a week of pandering, and after virtually every other significant free agent had already committed to a team, James made his announcement on National TV. I told myself I would not watch “The Decision” because there could not be a good outcome. If James left, “The Decision” would surpass the likes of “The Drive,” the Browns leaving and the Game Seven of the 1997 World Series as the most painful and trauma-inducing event in Cleveland sports history. If he stayed, he was just an arrogant egomaniac, but at least he would be our arrogant egomaniac. Either way, James would win, and I did not want to give him that satisfaction. But, as is the case so often with car wrecks, I found myself drawn to it nonetheless. Perhaps it was because I felt there was no way that James would agree to play second fiddle to Wade in Miami, as was being reported throughout the day. Chicago, New York, even New Jersey I could possibly see, but Miami? 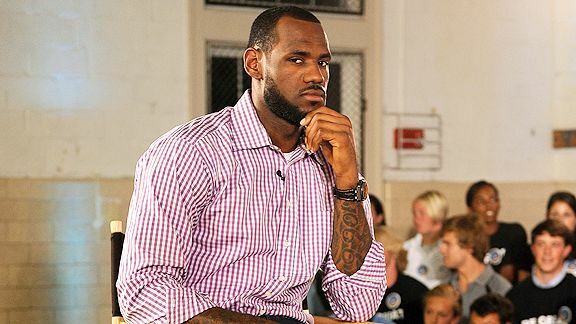 I found it hard to believe that LeBron’s “camp” would leak his destination in advance of “The Decision” after being so tight-lipped throughout this entire fiasco. Surely this was just a ploy for a reality TV-style twist. You don’t learn who wins the Bachelor before the season finale! Finally, I felt there was no way that James, Ohio’s favorite son, the “Chosen One,” would give the world’s biggest “f*** you” to his hometown, his franchise, his fans and his city ON NATIONAL FREAKING TELEVISION! 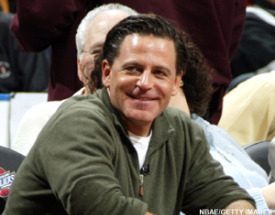 Shortly after “The Decision,” Cavaliers majority owner Dan Gilbert released a statement to fans, chastising James. Well, “chastising” might not do the letter justice. Gilbert tore into James for his “narcissistic, self-promotional build-up” of “The Decision.” He accused James of “cowardly betrayal” and personally guaranteed the Cavs would “win an NBA Championship before the self-titled former ‘king’ wins one.” He finished the statement claiming that the dreaded Cleveland “curse” would follow James to Miami. Ballsy, ballsy move, Gilbert. I never thought I’d be defending one of the men most responsible for bringing casinos to Ohio but, my hat is off to you. I see absolutely nothing wrong with his statement, well aside from some of his font decisions. Obviously he may have a hard time following through with the NBA Championship guarantee, but it showed some guts. He told Cleveland what they wanted and needed to hear. But, the national, and even some local media, have taken this as an opportunity to criticize the owner, calling him childish for being so peeved. They claim that his statement will be a deterrent for other free agents who might consider Cleveland this summer and in the coming years. Uh what free agents? David Lee? Raymond Felton? Of course those are the pieces the Cavaliers were missing! But, now there’s no way they would want to come to the powerhouse franchise that is a LeBron-less Cavaliers because of the owner said mean things. I’m sure Carmelo Anthony is having second thoughts about signing that max contract in Cleveland next summer all because Gilbert called a duck a duck. Free agents weren’t coming to Cleveland with LeBron on board. Now that he’s jumped ship? I don’t want to think about it. Now Cleveland has to find a way to reshape a roster that was catered for James. Former general manager Danny Ferry added numerous pieces over the years (see Ben Wallace, Shaquille O’Neal, Antwan Jamison), sacrificing the future of the franchise to try to win with James. Then Ferry and former head coach Mike Brown were forced to fall on their swords after the season in hopes that a management makeover would help woo the megalomaniac. But, in the end none of the pampering was enough to bring a title to Cleveland or keep “the king” in Northeast Ohio. James left the Cavaliers with a roster that now rivals that of the pre-Amare New York Knicks — well not quite — and a fan base that has been fiercely loyal to their superstar with a nice kick to the teeth. Somewhere I can picture Art Modell skipping around — singing show tunes with John Elway perhaps — now that he’s been dethroned as the most hated man in Northeast Ohio. Elsewhere, a father as consoling his young son, trying to explain to him why his hero from just down Interstate 77 is spurning the team and town made him their monarch. And throughout the state, a generation of youngsters, who had the potential to change the mentality of an entire fan base, will now adopt the traditional, fatalist and cynical approach Cleveland sports. Like we needed anymore of that.